PEEL Thunder Football Club have signed former Essendon player Jackson Merrett. Coach Cam Shepherd congratulated the club on working hard to get a player of such high calibre. “He is an elite hard-running wingman,” Shepherd said. Shepherd said it was especially good news for the younger players who could learn from Merrett. “I look forward to the 2019 season and hope to get back into the top five,” Shepherd said. Chief executive John Ditchburn said it was a coup to recruit such a quality player. 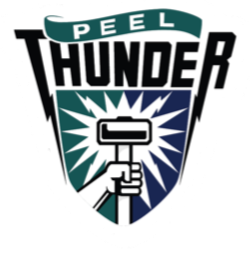 “Jackson fits the mould of the type of people at Peel Thunder,” he said. Merrett said he was very excited and a little nervous about joining Peel. He said he had a passion to play at a higher level and he had heard good things about Peel’s club culture. “Over my football journey there is the stress and expectations you put on yourself,” Merrett said. “I’ve realised I have lost the fun side of it. Merrett said when he enjoyed his footy, it was replicated in his performance on the field. He plans to move from Melbourne to Mandurah with his partner Olivia in the New Year. Merrett played for Essendon Football Club for seven years. He played with Ben Howlett for six seasons at Essendon and they kept in contact after Howlett moved to Peel Thunder.